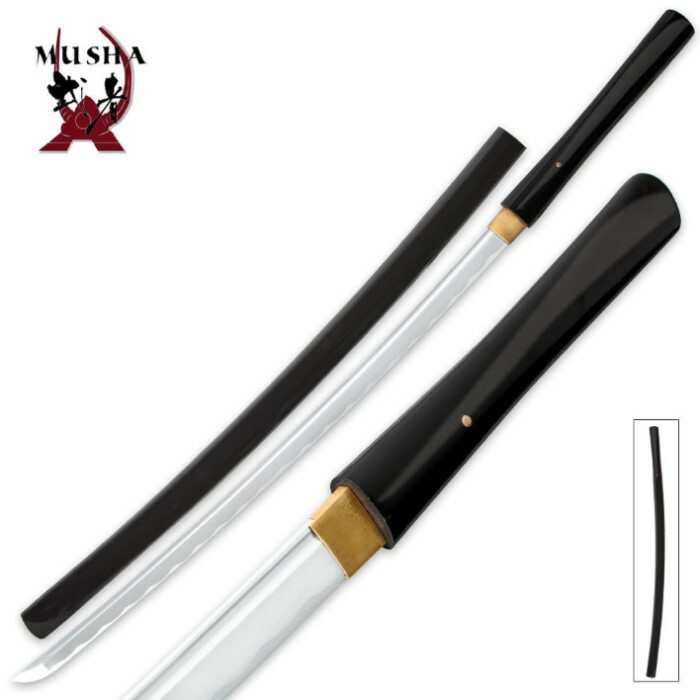 Black Shirasaya Musha Bushido Sword | BUDK.com - Knives & Swords At The Lowest Prices! 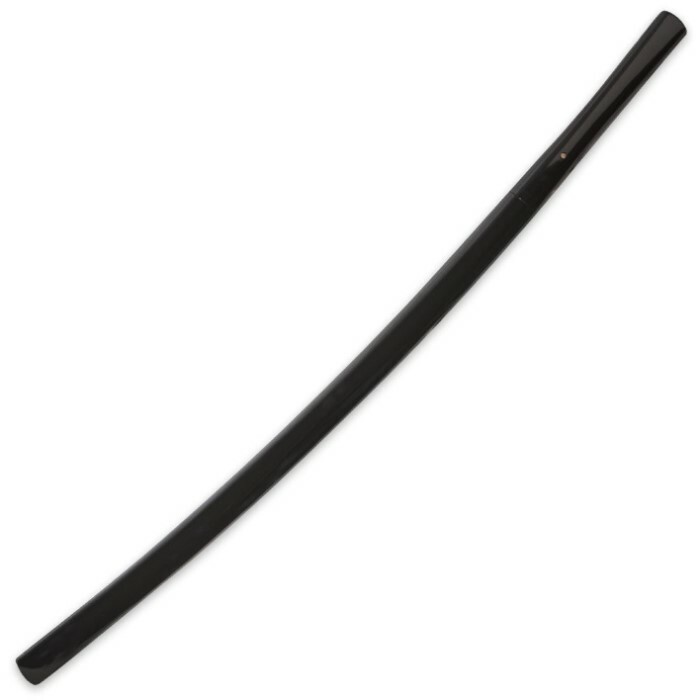 The Black Shirasaya Musha Bushido Sword is extremely sharp and embodies the traditional style of the Shirasaya. This sword features a full-tang, carbon steel blade that has a razor sharp edge straight from the factory, as well as a heavy blood groove down the entire length of the blade. The blade is secured in the traditional fashion and can be easily removed. The handle and scabbard are constructed of hardwood from one end to the other. Includes a sword bag.